Today is March 1st and it definitely came in like a lion. The wind was blowing and snow was flying all afternoon! But I’m not going to let it get me down. 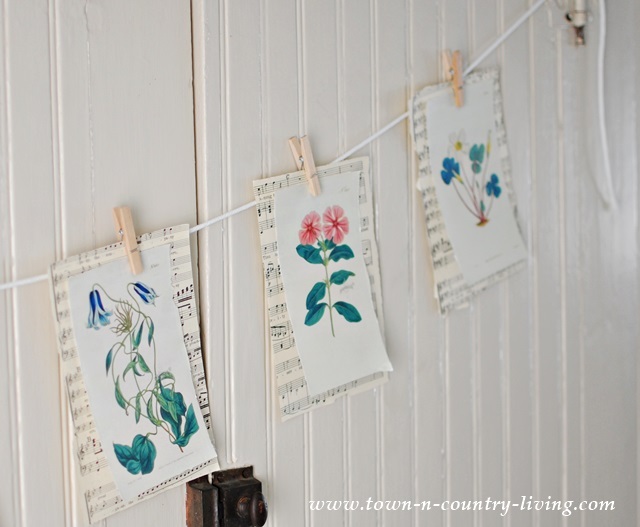 I made a quick and easy botanical banner to complement my spring decor in the kitchen that I plan to share with you this coming Tuesday for the Seasons of Home – Spring Edition tour. Yes, me and my favorite bloggers are showcasing spring inspiration that’s Blooming with Color starting on Monday and lasting all week. 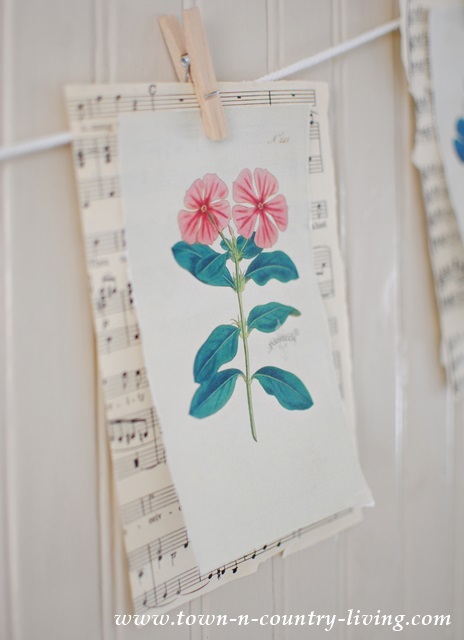 You’ll see the schedule at the bottom of this post, but for now, let’s get on with this pretty botanical print banner! I have always loved botanical prints … they’re simple and colorful. I layered the prints on top of vintage sheet music before hanging them up. First, tear out your sheet music. Rather than cut it to size with scissors, I tore it so the edges would be a little ragged. 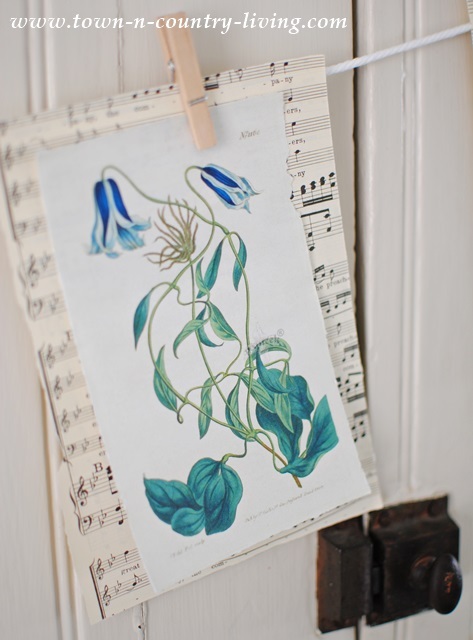 Second, print out botanical prints of the same size, or tear them out of a book. 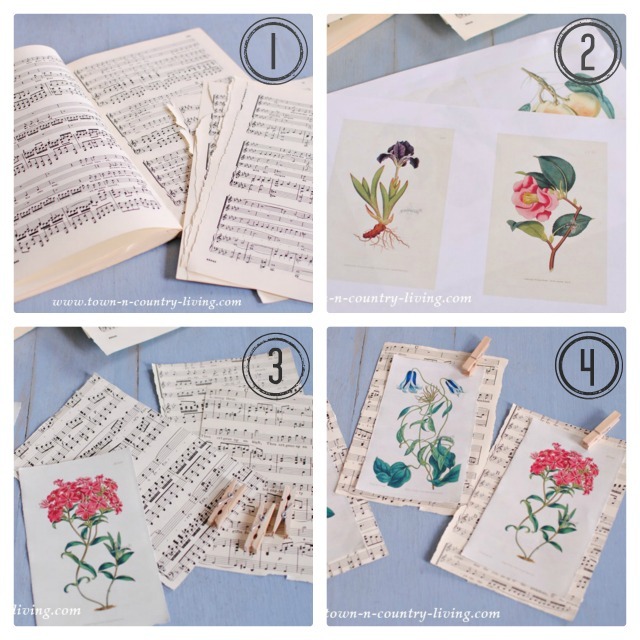 Third, tear the botanical prints to a size slightly smaller than the sheet music. 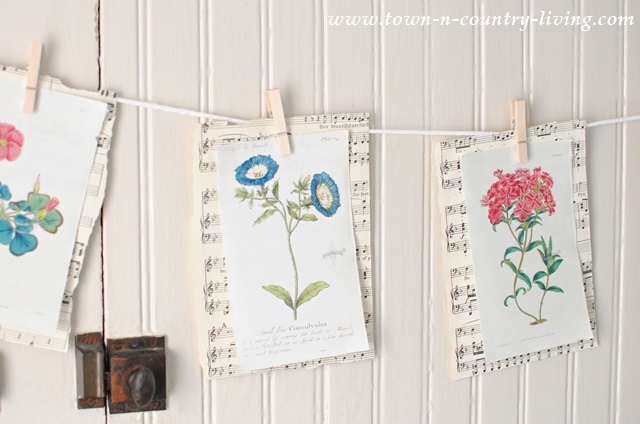 Finally, place a botanical print atop the sheet music and clip to twine, rope, or ribbon to create your banner. I used mini wooden clothespins to hang my prints. That’s it! No gluing or pasting. The most time-consuming part was tearing the sheets to size. 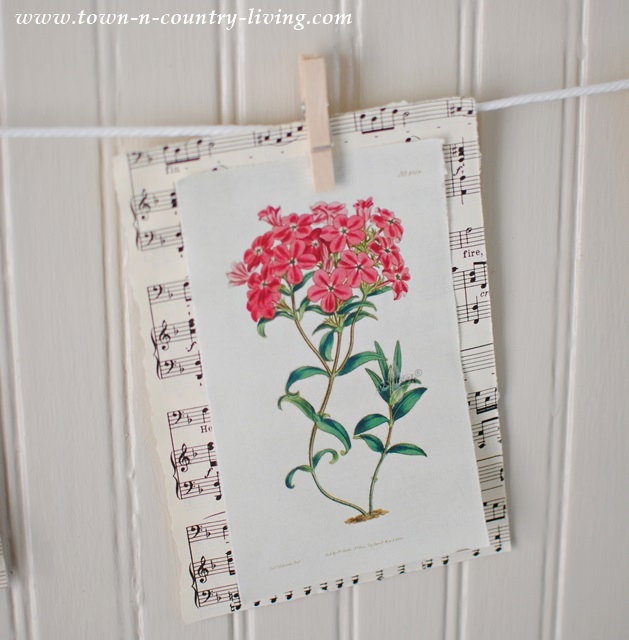 A truly quick and easy botanical print banner to add color to your home. … and a little bit of blue. 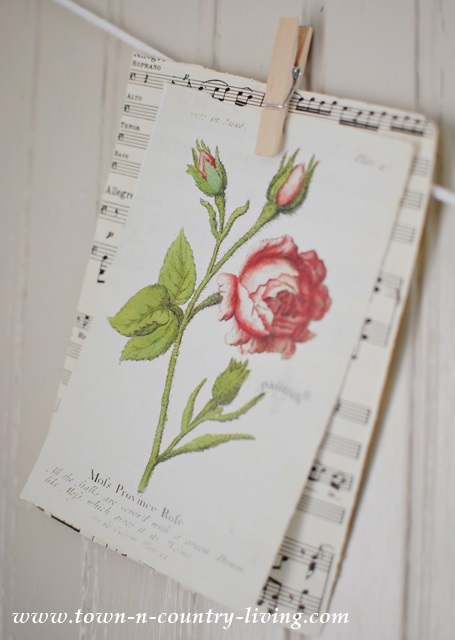 And of course, I couldn’t resist adding a pretty rose to the botanical print banner. There are so many botanical prints available, but I tried to use ones that were similar in style and color. I added pink and blue flowers to the ledge of the hutch, to mimic the colors in the botanical print banner. Be sure to stop back on Tuesday to see the full reveal of blooming colors in my kitchen. And visit the rest of the ladies during the week, too! Finally (yes, there’s more! 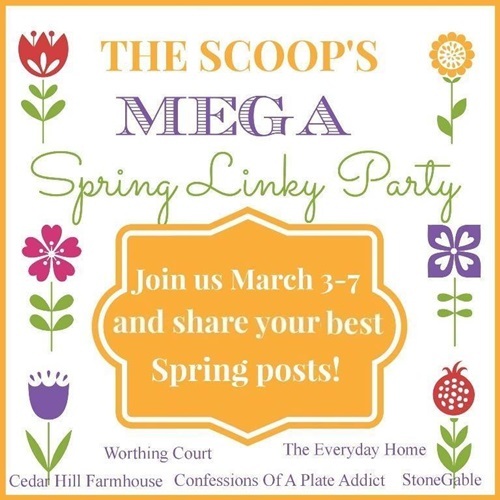 ), stop back here on Monday and link up your best spring post! 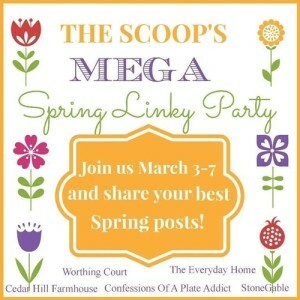 Over 30 bloggers are hosting this Mega Linky Party so your post will get tons of exposure! 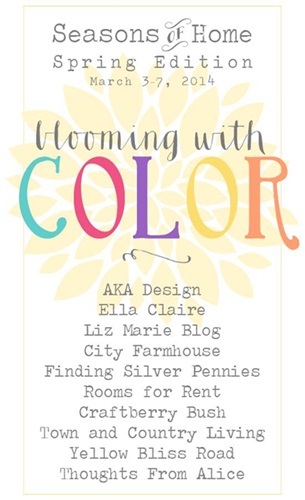 And if you’re not a blogger, stop by on Monday and check out all the links for spring inspiration! That is so simple and pretty. Very pretty and super easy, Jennifer! I think this would make a great decoration in my booth for Spring. Oh so simple and sweet and perfect for Spring! I have a love for botanicals too! Jennifer, you have such a lovely style! These are so pretty! Ready for spring! Cute Cute Cute. We need to see this with all the snow. 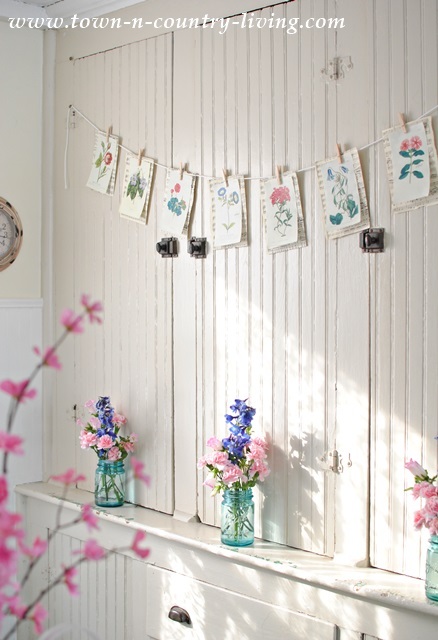 It may be snowing and blowing outside but inside you have pretty spring going on. Beautiful. So pretty! What a great idea. I love the blues and pinks. 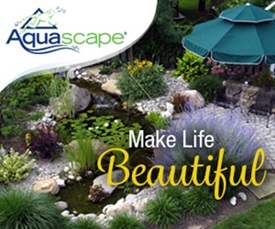 I am looking forward to seeing all of the Spring inspiration this week! 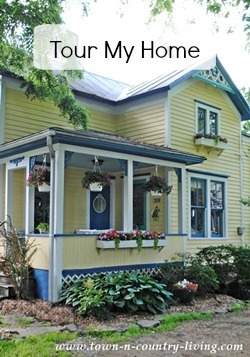 This is beautiful Jennifer and is so perfect for your house! I love your post. I found it through G+ +Donna Williams had shared it. You have a new follower. 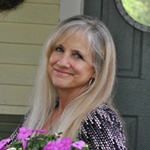 I hope you will check out my blog too. How did you form your networking group? 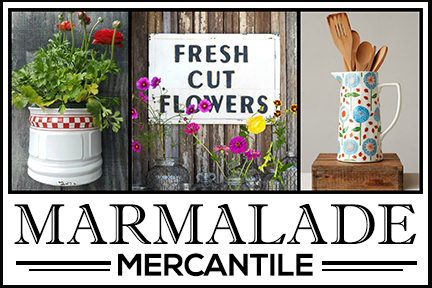 I just found your site and I love the botanical print banner! Well, your whole spring kitchen is so beautiful! 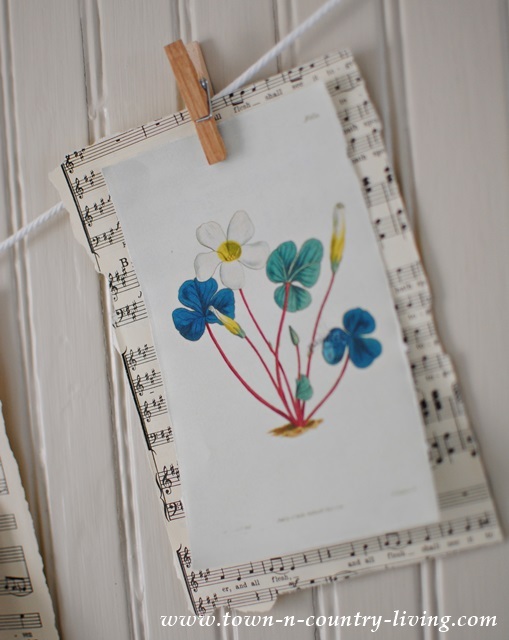 Do you have a source for your botanical prints? They are so sweet! Thank you for sharing and I can’t wait until the weather warms up here. 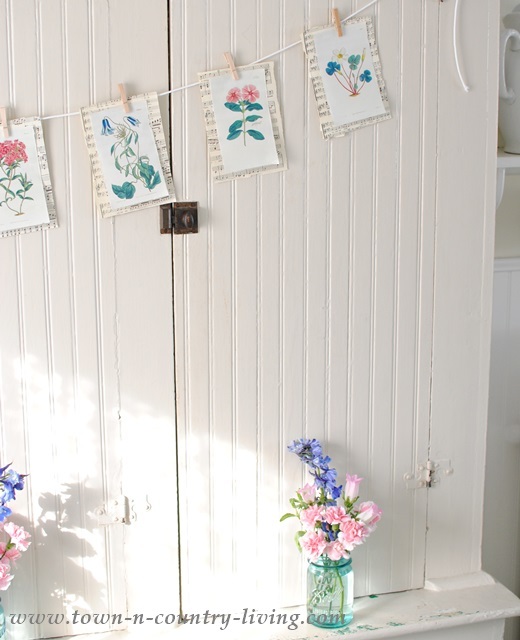 Love these botanical prints and how you made the banner – very, very nice. This is so fresh and pretty! I love the background of sheet music.